Of The Fountain: Ribbon! Eeeee! Since I've moved a thousand miles away from my favorite craft store (and previous job of 7 years) I've had to fend for myself when it comes to how obtain the supplies to wrap up my orders. While working at the craft store and using the weekly sales + my employee discount, nice ribbon was still pretty expensive. 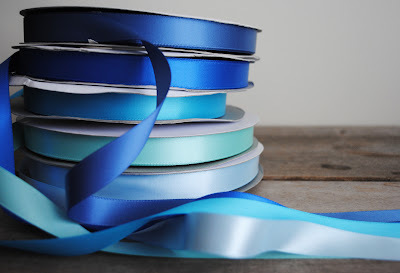 However, I was able to find a neat art store near where I was living in Atlanta that had one particular color of this super soft satin ribbon that was ALWAYS super cheap for some reason. I think they bought a crap load of stock and then the color was discontinued and they just wanted to get rid of it. Anyway...before we moved to Boston I bought about 30 spools of this awesome ribbon, thinking it would last me until I aged well into my nineties. 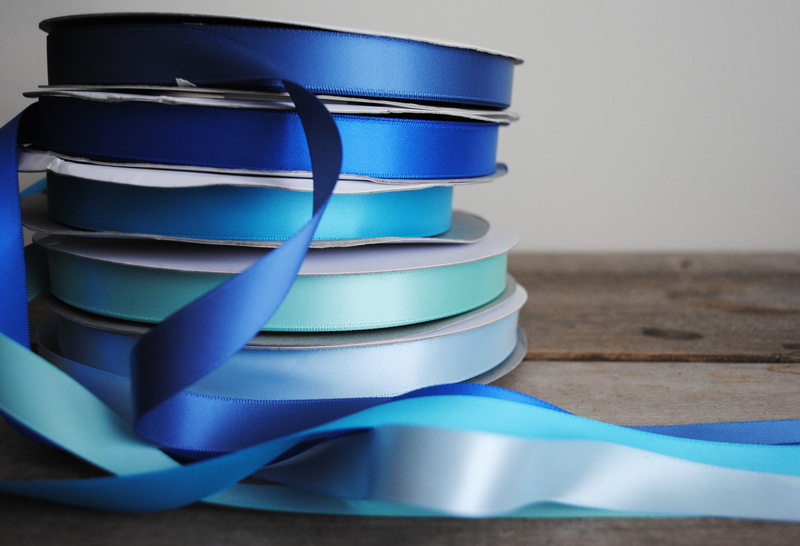 Quite unexpectedly, a few months after moving, my stock of precious ribbon had dwindled down to a few yards. I cried out, saddened that I would never be able to find nice, affordable ribbon again. And then I got on the internet, found a supplier that was more economical than any of my favorite craft stores, and the crisis was averted. I now bathe in mountains of ribbon, like Cartman bathes in Kyle's money. "Mmmm....Kyle's money." Except now it's like, "Mmm...Brandy's ribbon." No. That's not as effective and rolling around in the ribbon would wrinkle it. 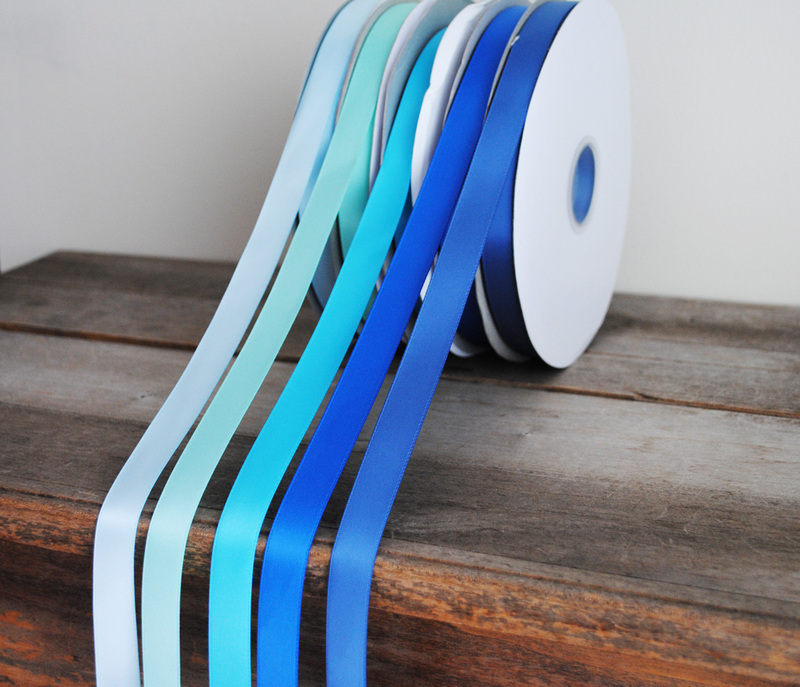 Just today I got in a new shipment of ribbon. 400 yards to be exact. :) I love blue and ordered a variety of blues because I still don't know what color best fits my "brand." 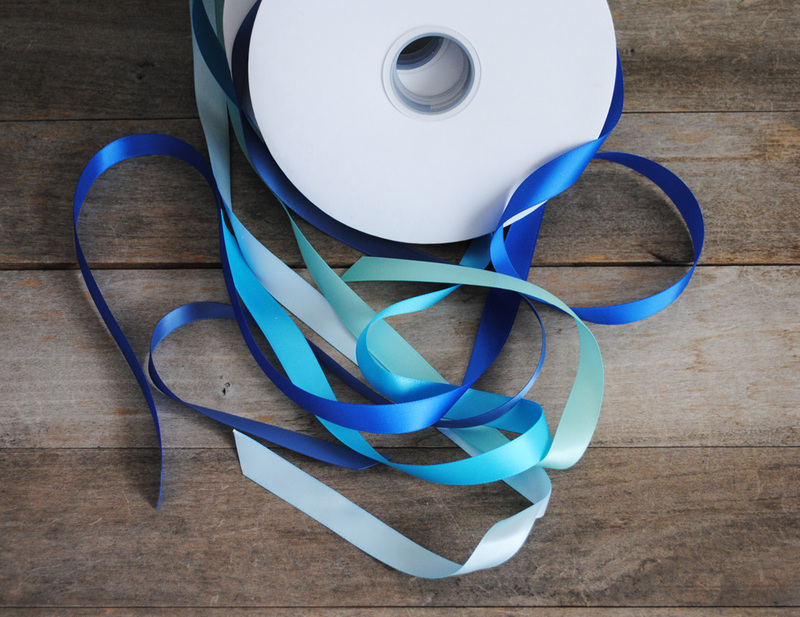 I was so excited about this new ribbon that I gave it a photo shoot in celebration of its existence. 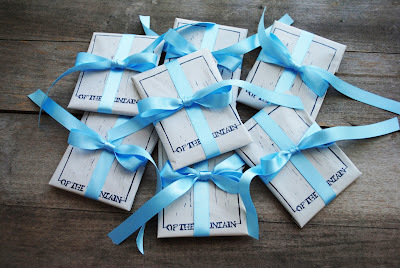 Oh, if you ever have a preference for your order to be wrapped in one of these colors, just let me know and I'll hook ya up. Otherwise, I'll just use whatever roll I'm on at the moment. Pssst! A new coupon code is now available for April! Free Shipping or some such nonsense. Checkout Of The Fountain's Facebook page.